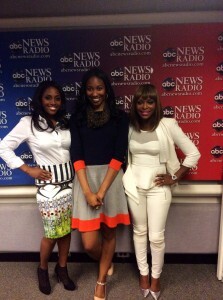 ABC Radio in New York! On my recent trip to New York, I had the greatest interview with ABC Radio! Check out for my interview soon! Girl, what you said….preach! Mariah was right they clearly set her up at STK!!!! Quad is a horrible person and her cheerleader is that thang she calls a fashion designer in awful clothing and teeth. What kinda of man confronts a woman. Quad is making it her business to really tear down Mariah’s character after Mariah has helped her. Reading all these tweets on Quad’s twitter surely she paid those people to be on her side because anybody with a brain will clearly see her for what she is….a master manipulator and liar!!! A red herring!! !